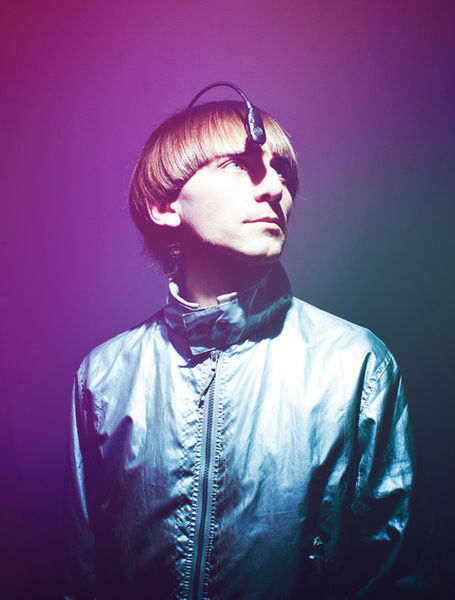 In perhaps one of the most awesome TED talks ever, especially for synesthesia-philes like myself, artist, composer and cyborg-activist Neil Harbisson speaks about hearing colors. Catalan-raised and Northern Ireland-born Harbisson is color-blind. After listening to a lecture on cybernetics and sensory extensions by Adam Montandon, he approached him afterwards and together they worked on a prosthetic device they call the “eyeborg,” which converts colors into specific sounds. In 2010, he founded the Cyborg Foundation which helps people become cyborgs. Neil Harbisson. Image via Wikipedia. EyeMusic is a project at the University of Oregon’s Cognitive Modeling and Eye Tracking Lab in which an eye tracker is connected to a multimedia performance environment to create computer music and interactive art based on eye movements. While the eye is, in ordinary human usage, an organ of perception, EyeMusic allows for it to be a manipulator as well. EyeMusic creates an unusual feedback loop. The performer may be motivated to look at a physical location either to process it visually (the usual motivation for an eye movement) or to create a sound (a new motivation). These two motivations can work together to achieve perceptual-motor harmony and also to create music along the way. The two motivations can also generate some conflict, though, as when the gaze must move close to an object without looking directly at it, to set up a specific sonic or visual effect. 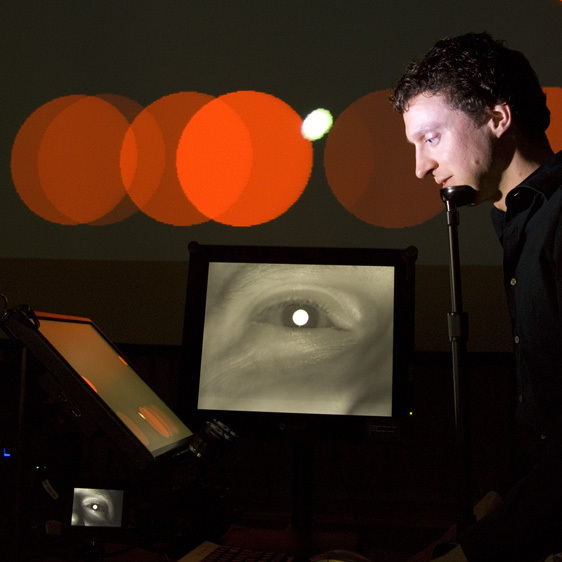 Through it all, EyeMusic explores how the eyes can be used to directly perform a musical composition. It’s hard to talk about eye movement without mentioning the EyeWriter. 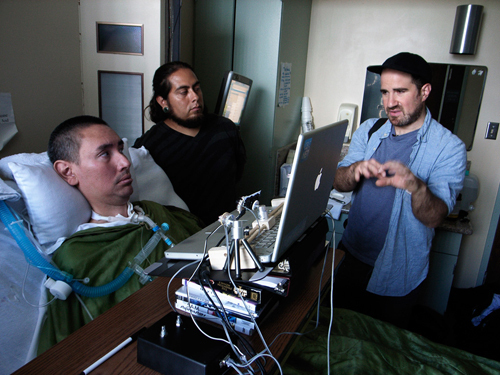 American graffiti artist TEMPT1 was diagnosed with amyotrophic lateral sclerosis (ALS), which left him paralyzed except for his eyes. The EyeWriter research project was born as a collaboration among TEMPT1, the Free Art & Technology (FAT) lab, the openFrameworks community, and Graffiti Research Lab (GRL), with support from the Ebeling Group production company, the Not Impossible Foundation, and the MFA Design and Technology program at Parsons The New School for Design, New York.The system uses cameras and open source software that allows the user to draw with their eye movement. openFrameworks co-founder Zach Lieberman (right), with graffiti writer Tony Quan (TEMPT1) (left). Image via SVA Interaction Design.